Pop-up markets, especially around the holidays, are one of the unique and wonderful things that help make New York, New York. Union Square Holiday Market is big and bright and smells like pine cones and peanut brittle. Artisans sell their jewelry and handmade products, and vendors offers spices, herbs, oils and sweets. On the weekends the park is packed with locals and tourists alike. I prefer a quieter pop-up market, and I was reminded of this on my recent trip to NYC. Bryant Park Winter Village isn’t as large as its competition, but there are still 125 booths with high class finery. Better yet, if you are looking to avoid the crush at Rockefeller Center, there is a skating rink, warming house and restaurant, all with a spectacular view of a huge, decked out Christmas tree. Bryant Park Winter Village is located behind the New York Public Library, 5th Avenue at 42nd Street, New York, NY 10018. Want to read more about New York? Visit a summary of all Travel Snapshot New York posts. 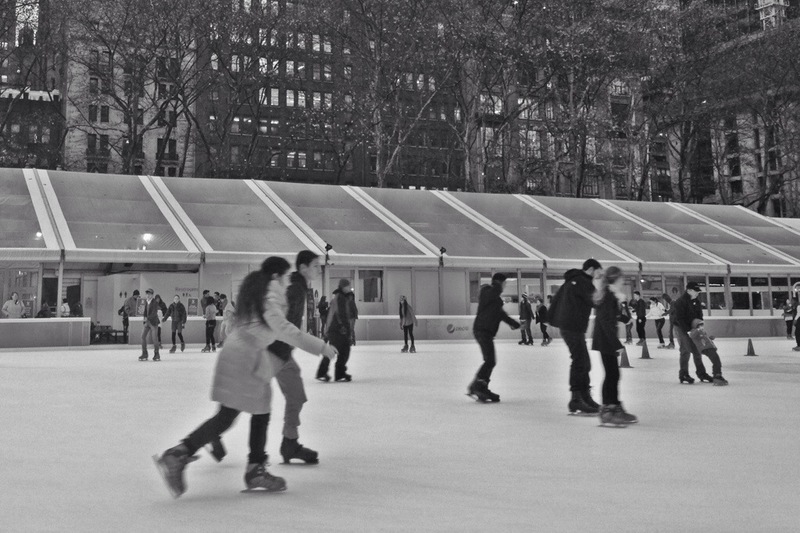 This entry was posted in Travel and tagged Bryant Park, Christmas, New York. Bookmark the permalink.